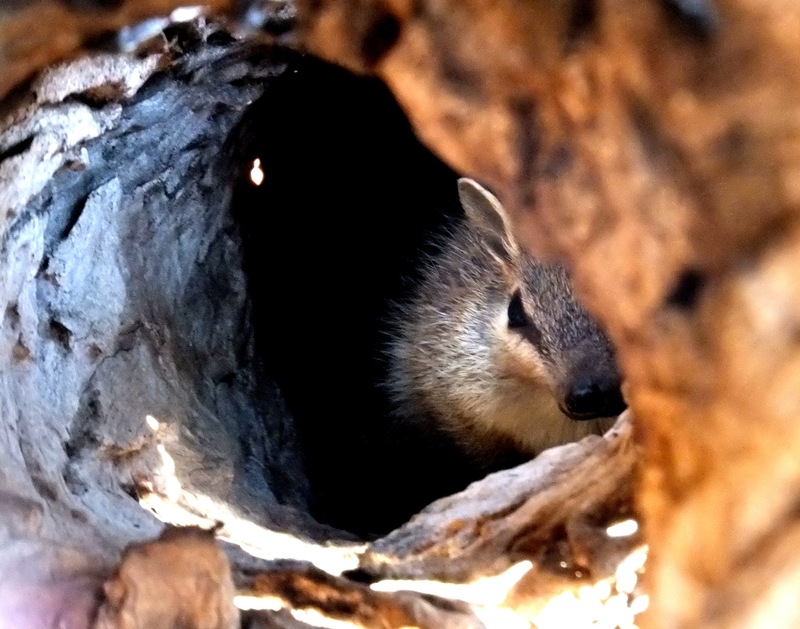 UNSW Biological, Earth and Environmental Sciences (BEES) research student, Lisa Steindler was highly commended in the recent Wavelength Communicate Science Competition for her photo of a native Australian Numbat. Lisa, tell us about the cute little critter in the photoIt’s a numbat, one of Australia’s many unique marsupials. I took the photo whilst radio-tracking translocated captive to wild Numbats as part of a six month internship with the Australian Wildlife Conservancy (AWC) at their Scotia Wild Life Sanctuary located on the NSW/SA border. The Numbat is now legally extinct in NSW and the Numbat in the photo is one of a number that have been reintroduced into NSW within feral free fenced enclosures. What inspired your PhD research topic? I’m actually doing my PhD on Bilbies, which are also endangered in Australia, however the Numbat inspired me to work for a future for our endangered native fauna. I want to try and determine if they have a future beyond feral free fenced areas. What are your hopes and dreams for Australia’s wildlife? Australia has the highest small mammal extinction rate in the world. This is primarily a result of the impact of introduced feral predators, such as cats and foxes, as well as habitat loss and fragmentation. However, we also have an amazing diversity of unique and interesting animals. My hope is that one day many of our unique fauna can be reintroduced into areas where they formally existed.